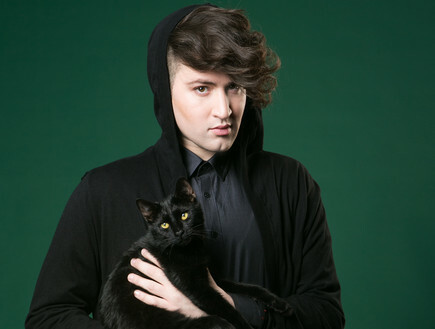 Hovi Star (חובי סטאר) (real name Hovev Sekuletz) was born on 19 November 1986 in Kiryat Ata. Hovi is used to be different from his childhood days in Kiryat Ata in Northern Israel. His neighbours did not understand the meaning of his make-up, and were wondering what he was eating with the sticks (as his favourite food is sushi). "I never was a normal person. I studied at a religious school and kids knocked me, called me names, throw things at me. It was of a horrific levels you do not understand. I never quite fit the landscape but never try to adjust myself to it," he explains. His parents have divorced and when he was six, his mother married basketball player John McIntyre. Every year he would sign with another team and then the family was moving. By the age of 29 Hovi had about 29 apartments in his life: in Haifa, Holon, Tel Aviv etc. Each time he had to adapt to the new surroundings but he says he felt like chameleon, just replacing colours, but keeping the personality. Music was a big part of Hovi's life from the childhood. He started doing auditions since the age of 6. Because of the music he even decided to quit the school yet now admits it was a bad decision. He was planning to release an album, which didn't work, so eventually he had to return to the school. After graduation, Hovi had joined military band, and there for the first time in life he discovered that, apart from what he sees on TV there are many people who understand his thing. 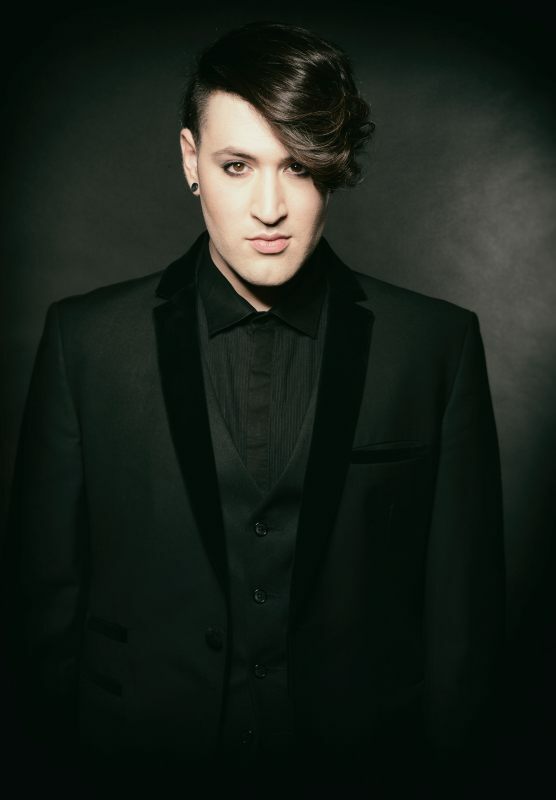 Hovi continued to be part of Mozaica - group of young performers formed in the rich tradition of the Israel Defence Forces entertainment troupes. 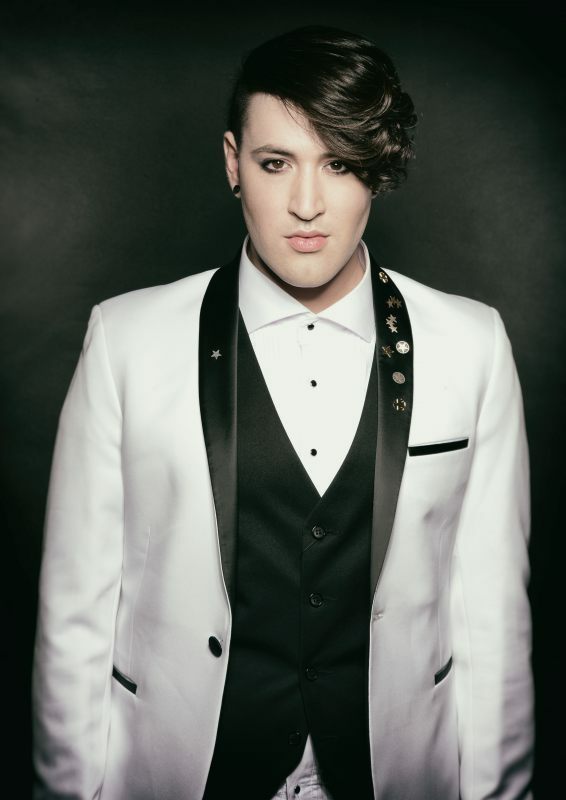 He has toured throughout Israel with the solo show Playing Dangerous, hosted the show Star Live and taken part in other programs, in addition to a lot of other musical and television productions. He had already tried his luck in 2nd edition of Kokhav Nolad show at the age of 17 but didn't pass through. 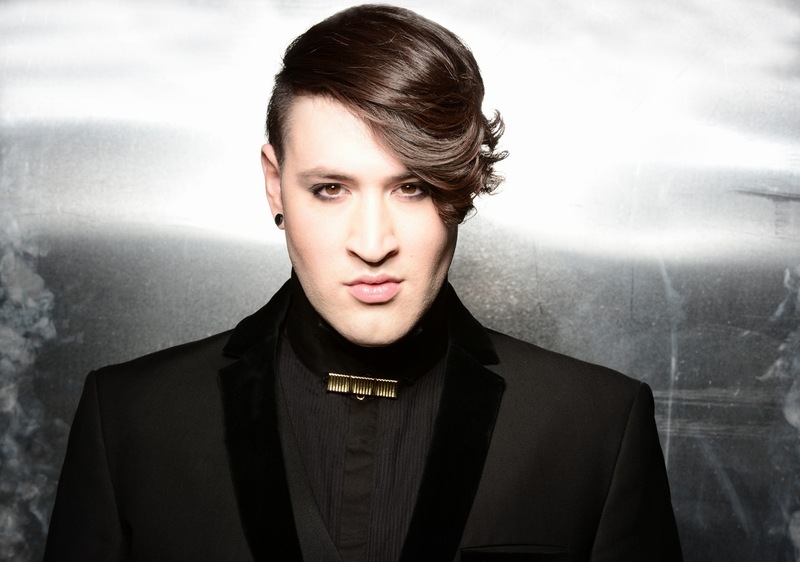 His vocal coach was insisting the show format was exact fit for him, so five years later he had returned to it, competing in the 7th season of Kokhav Nolad broadcasted in 2009 (alongside Mei Finegold and Vladi Blayberg among others), where he reached seventh week of the competition. 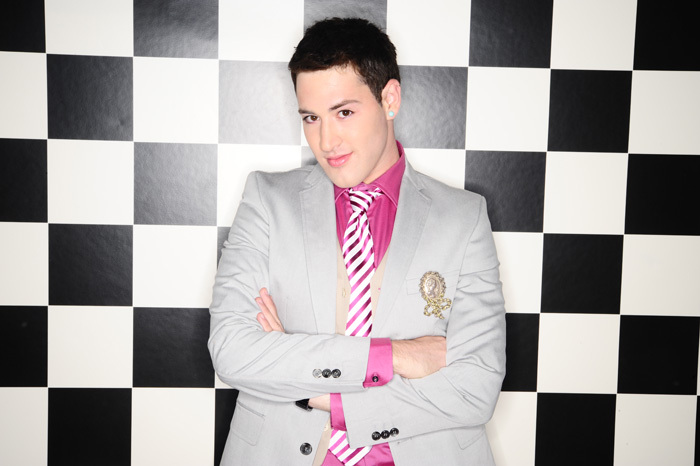 In 2010 he had released debut single "Boyfriend" and music video on it, and afterwards has moved for a year to USA to concentrate on his music career. Upon his return in 2012 he released another single "Why Should I Leave". 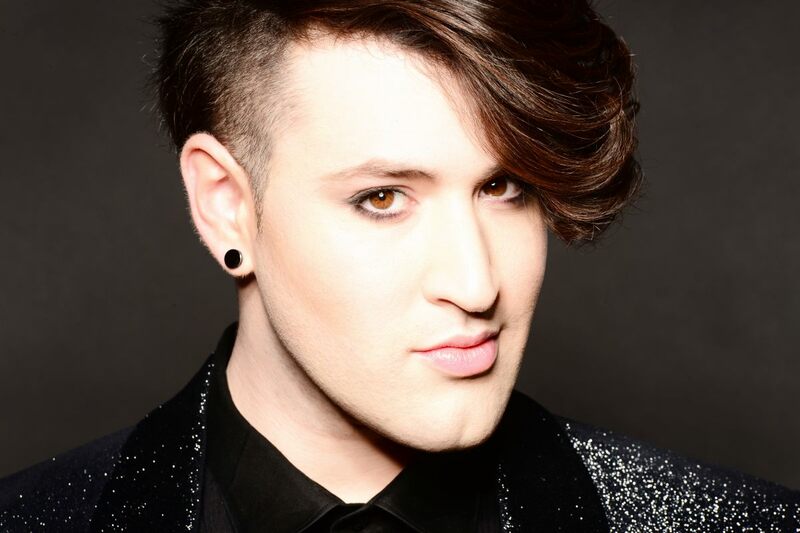 His latest release is a duet with Alon Sharr - "Something That I Want", which was published in the end of 2014. Hovi also wrote and composed songs for other singers and was asked to join the dubbing ensemble for the Hebrew versions of Disney and Pixar box office hits including Frozen, Lego, Cinderella, Inside Out and others. Currently Star, who is a composer and lyricist, is now working on a solo album. "The most is interesting for me is to take a pen and sheet of paper, sit at the piano and to write a song, to enter the studio to record it and let the audience hear it after. I am not sure how many people know that I'm also the creator - songwriter and composer. My music is very R&B based, and I'm trying to formulate a unique style". Hovi says that he is a really good hair stylist, he is really good at imitating people and can write a song about anything in this world and make it sound like a hit. Hovi is also highly interested in fashion, which will be reflected in his performance on stage in Stockholm. 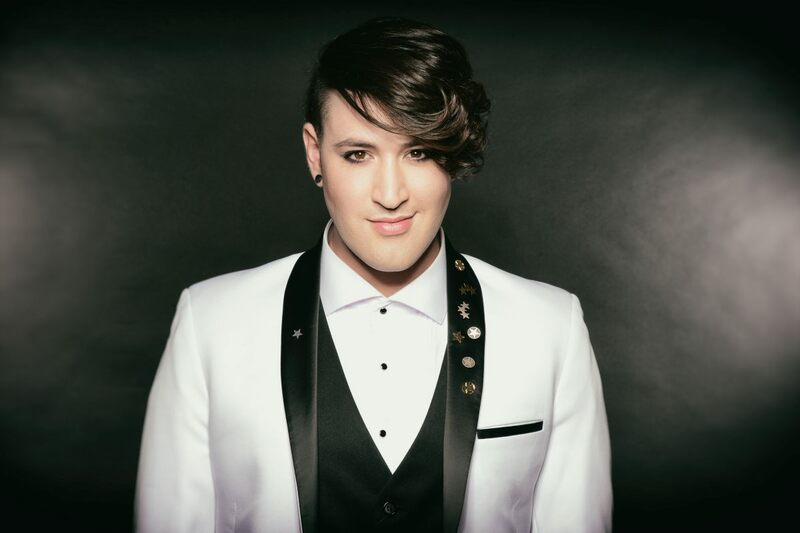 In the end of 2015 - beginning of 2016 Hovi competes in another Talent show - The Next Star, which he eventually won on 3 March 2016. 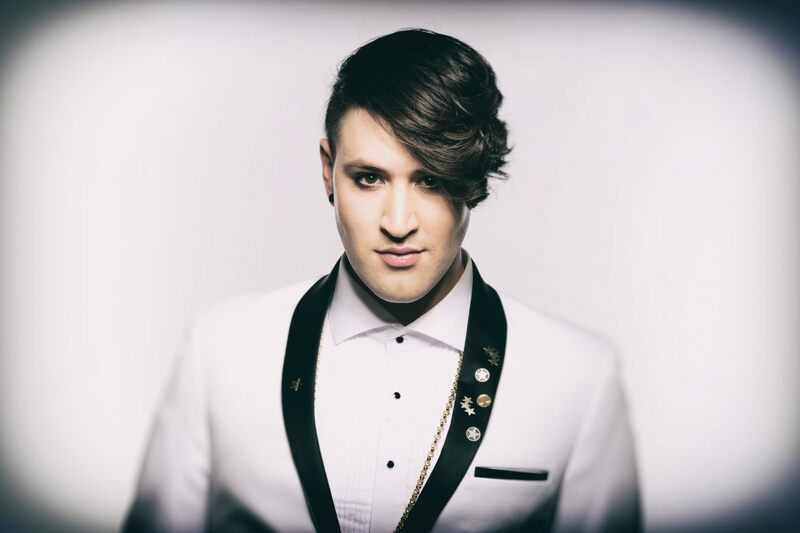 As the main prize, Hovi got the right to represent Israel at the Eurovision Song Contest 2016 in Stockholm. 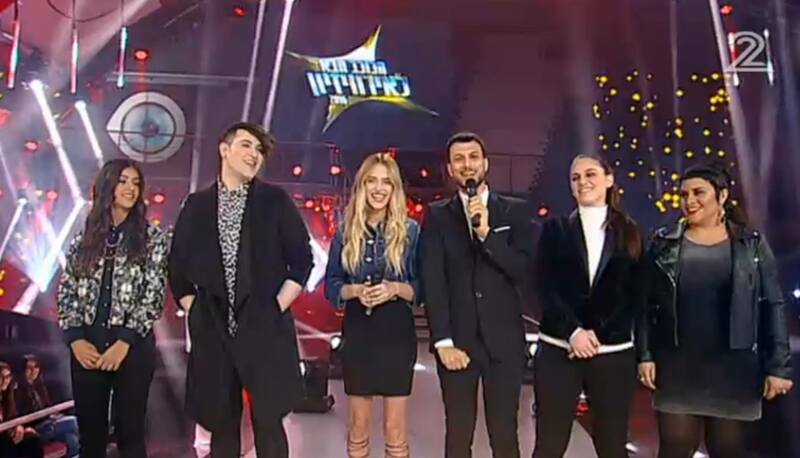 He openly admits that he entered the show to win this prize: "If it was not about Eurovision, in no case ever I would have entered the talents program again, I don't need any other prize even a car. But the Eurovision is the only way to break out to Europe from Israel. It's been my lifelong dream to perform on the huge stage. When I was six years old, I remember myself standing on our living room table and performing the Eurovision songs for my mum. After eventually finding out I'll be the one representing Israel, I couldn't stop crying with excitement for a whole day. I think it’s a huge milestone for an upcoming artist like me, and additionally, I get to represent my country, where I grew up and which I love! I couldn't hope for anything more amazing". For Hovi it is a dream to move to Sweden one day: "My dream is to move to Sweden because it is cold and dark there. I'll be going out in rain and I'll put my headphones, walking with an umbrella on the wind, I completely like this picture". "The song was arranged 4 times before its final version. It was very important for me and my team that people will relate to the song, so we changed it, again and again, until we felt like it got the perfect treatment. When I first heard this song, I thought it would be weird for me to sing a song called Made of Stars, since there would be too many stars in one sentence! Now I understand that the title fits me perfectly and I wouldn't change it for the world! I'm dying to get there already, burn Europe and bring the victory to Israel. But the first goal is to return to Israel with head up high"
"Made of stars" was written and composed by Doron Medalie, and it's final version arranged and produced by Chen Metzger Eder. The music video for the song was directed by Elad Weisman and Yoav Sfeir and was filmed in four different locations in Tel Aviv. Doron Medalie says: "The song is a moving ballad speaking about our life as a humanity. We are all connected in the virtual world, even when in reality we are disconnected. The differences between people are getting stronger, and reality requires us to answer the question - whether we want to connect in real life and help each other or remain cut off and indifferent? Song Made of Stars reminds us that we are all human beings and are all equal. We are all made ​​of stars, and we all have a place in this world". 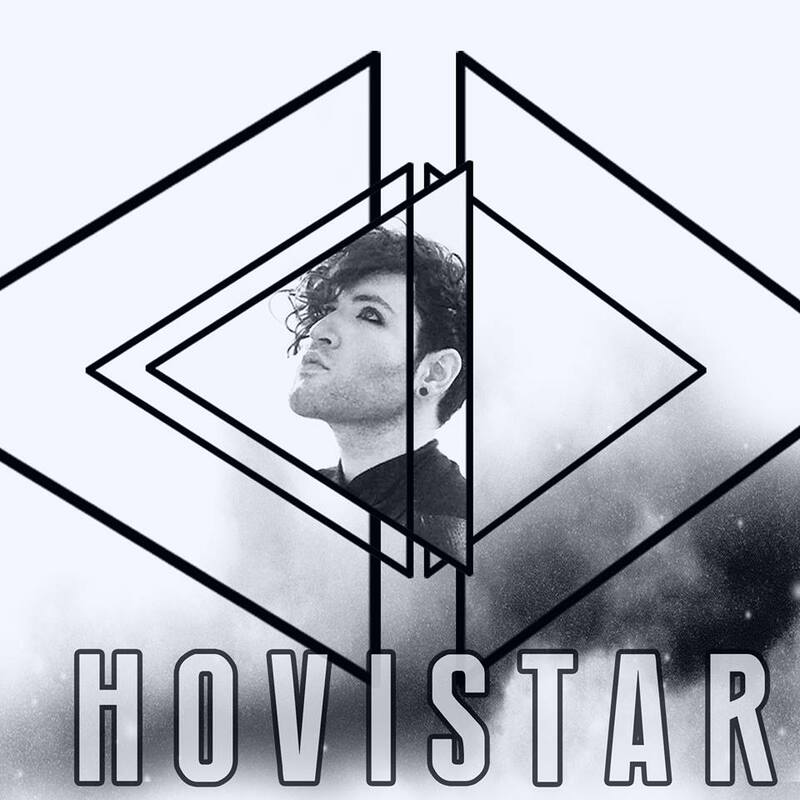 Hovi Star has made a statement about Moscow incident at the Xarabank program in Malta. The incident was earlier revealed by Spanish singer Barei. Delegation of Israel has published official Question and Answers session with their representative Hovi Star, incorporating also questions submitted by ESCKAZ.com team. - Who is Hovi Star? 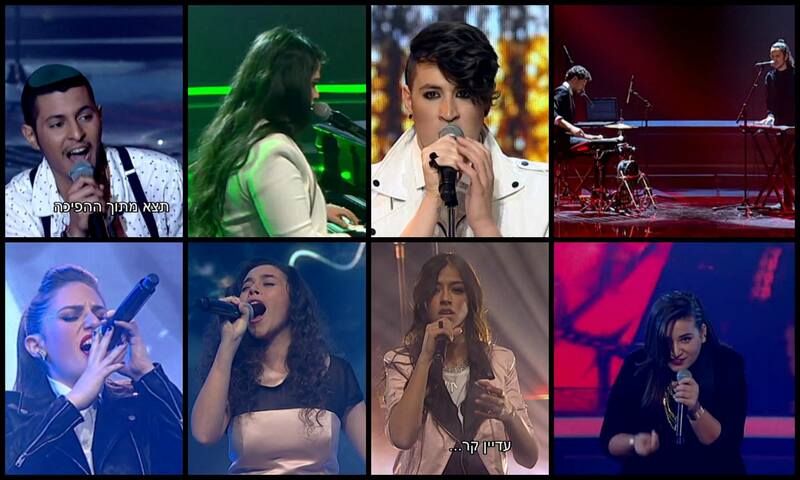 Besides wining the Israeli national final, the international audience doesn't know much about you. What should we know about the person? - Well, I wear a lot of crazy outfits, put on a lot of makeup and some days my hair is outrageous. But I guess under all of that I'm just a regular guy. I love spending time with my family, my dog, my friends and creating Beautiful music. It's important for me that people will be aware that I write songs. - What is the message of "Made of stars", your ESC entry? - "Made of Stars" is all about equality. It talks about how no matter where we're from, no matter what's the color of our skin, no matter what's our religion or sexual orientation we are all equal. If you look up at the stars you realize that you can't tell apart one star from the other, because from far away they all look the same. This song is kind of a mantra that I hope one day everybody will chant together. - What are your expectations for Stockholm, are you excited? - I am very excited!!! Performing on the Eurovision stage the lifelong dream of mine, so I'm excited to be there in front of that huge audience and sing my heart out. Besides that, I've been to Stockholm before! It's a beautiful place and the people are very friendly. I look forward to flying back. - Prior to the national final, the team of finalists had travelled to Sweden, and you said you really liked the mood of the country. Can you tell us more about it? - First of all the last time I was there it was snowing! Everyone who knows me knows I definitely love the winter and definitely love snow so that definitely made me happy. People in Sweden are so polite and the streets are so clean. I enjoyed my stay there very much. - How do you prepare yourself for the Eurovision performance? - Well, I've come to discover that there are so many things to do before the Eurovision. It's not like a regular performance. Everything (and I mean everything!!!) has to be planned Down to the smallest detail, Like what I'm going to wear on stage, the angles of the lights and cameras and even the moment I'm going to look into the lens and away from it. But basically all these things our technical, So I try to concentrate on my voice and my performance skills which are the things I know how to operate best. - What are your first Eurovision memories? - I don't remember what my first memory of the Eurovision is. It's all little blurry, but I do remember watching the competition with my mom when I was about three or four years old. I was astonished when I saw the stage, the lights and the amount of talents on the stage. - Was it a dream of your to represent Israel in the ESC? - Of course!! I've been dreaming I'm standing on the Eurovision stage since I was about six years old. I remember standing on the table and performing the songs for my family. I feel so excited and honored in the fact that I get to represent my country in such a huge way. It means a lot to me. - Which are your favorite Eurovision songs and what is your favorite from your home country? - I don't think that's a fair question! There are so many songs from the ESC that I love, but I guess I could name a few. I really love "Euphoria"! I think it was a genius performance and Loreen has a very powerful and interesting voice. I also really love last year's winner! Flawless performance, the song is very good and the singer so hot and talented! Sweden really earned that victory! My favorite from Israel's entries is of course "Diva" by Dana International. It's a beautiful masterpiece Dana is very talented. I was just a little boy when Dana won the Eurovision but I remember being so proud of her and my country that day. Besides that I have met Dana plenty of times. She's an amazing person with a huge heart. A true diva. - Have you listened to other songs from this year's contest? Do you have any favorites? - Of course I listened to other songs, And of course I have favorites!!! I really really really Love Finland's entry, "Sing it away". Sandhja is very talented And she looks like a fun person to hang out with. When I see her video I just wanted to dance with her and be her friend. She's cool. Another favorite of mine is the French entry. Amir is a great Singer and the song is very catchy. - You have recently filmed the music video for Made of Stars in Tel Aviv, can You tell us more about that? - It was a very fun experience! We shot the video at night so we had to do everything quick before the sun came out. What's funny is that Tel Aviv is one of those cities that never sleep so we started shooting at like six in the afternoon and there were people on the street but then people were still on the street when it was 5 am. They probably came back from a crazy night of partying. I know because the week before that I was one of those people. - A message to our readers? - Never doubt yourself and make your dreams come true! 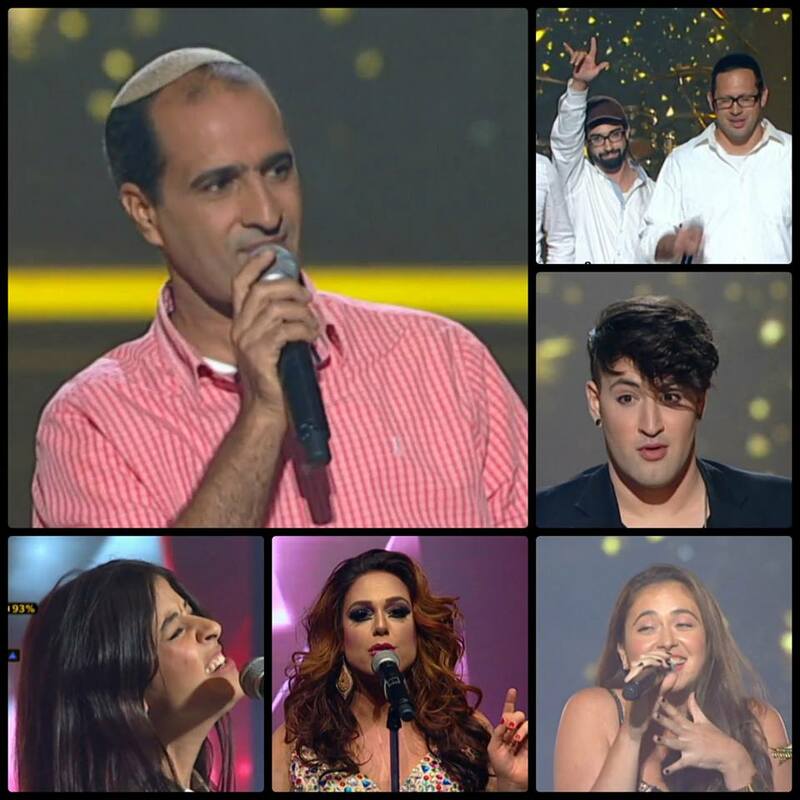 Made of Stars is set to remain song of Israel at the Eurovision Song Contest 2016 - according to report of Ynet and Israel Hayom, the decision has been reached after considering all possible replacements on the special meeting of Tedy Productions, Israel Broadcasting Corporation and singer's management. First of all, it was decided to keep the song because it was this performance that attracted majority of the votes during the final of the Next Star project. However, the song will be considerably reworked, taking into the account the wishes of the performer as well. 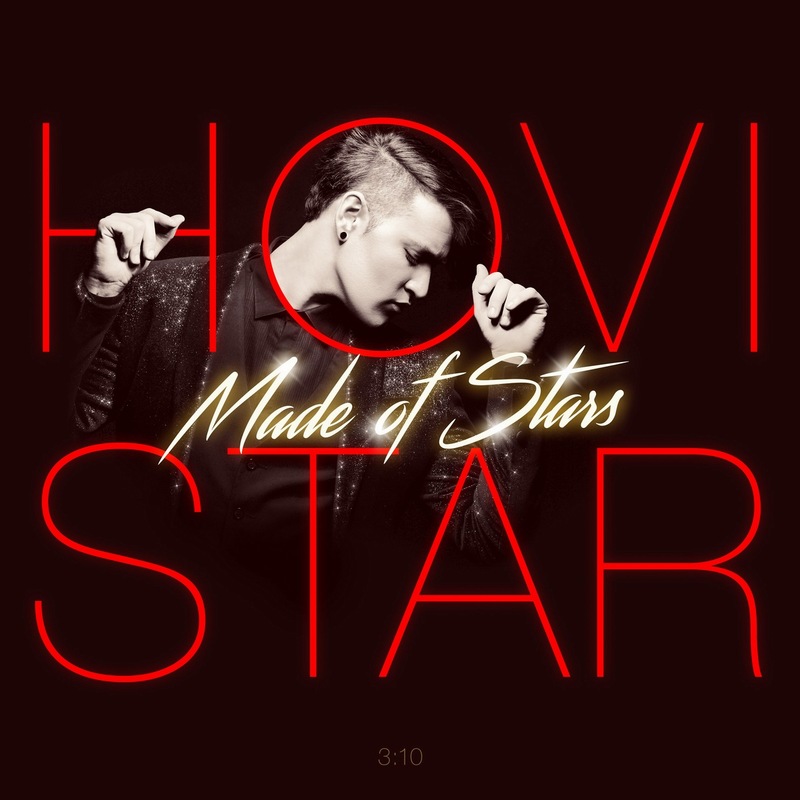 We remind you, that according to the existing information, Hovi Star originally was planning to perform in the national final self-written song, while Made of Stars was due to be performed by Nofar Salman. However, organizers of the project eventually asked him to make selection from among the shortlisted entries. Israeli local newspaper Israel Hayom writes about possible change of Hovi Star's entry "Made Of Stars". The song was accepted critically by local and international audience and now may be replaced by "Somebody Out There" (the song performed in Israeli final by Ella Daniel). After the meeting of Tedy productions and the singer, it was decided that he will also record Ella Daniel's entry in the studio. At the same time, the Broadcasting Authority is examining the legal aspects of the process and compliance with regulations. Israel will compete in the second semi-final of Eurovision Song Contest 2016 on 12 May in order to avoid a clash with Israel's Memorial Day for the Fallen Soldiers of Israel and Victims of Terrorism on 10 May. The request of Israel Broadcasting Authority IBA has been approved by European Broadcasting Union. In March 2016 Israeli broadcaster will also pass through restucture process, to be shut down and reopened as the new company Israeli Broadcasting Corporation IBC. It is unknown if reorganization will have any effects on the participation in Eurovision. 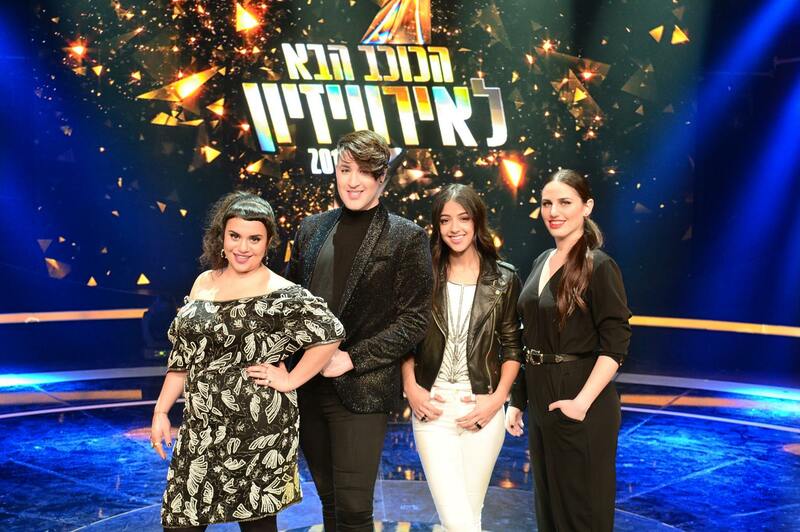 For the second year, Israel was using the talent show "The Next Star", this year relabelled as "The Next Star for Eurovision" (הכוכב הבא לאירוויזיון, Hakochav Haba L'Eirovizion), of format known worldwide as "Rising Star", produced by Teddy Productions and broadcasted on the Israeli Channel 2 Keshet, as the artist selection for Eurovision. 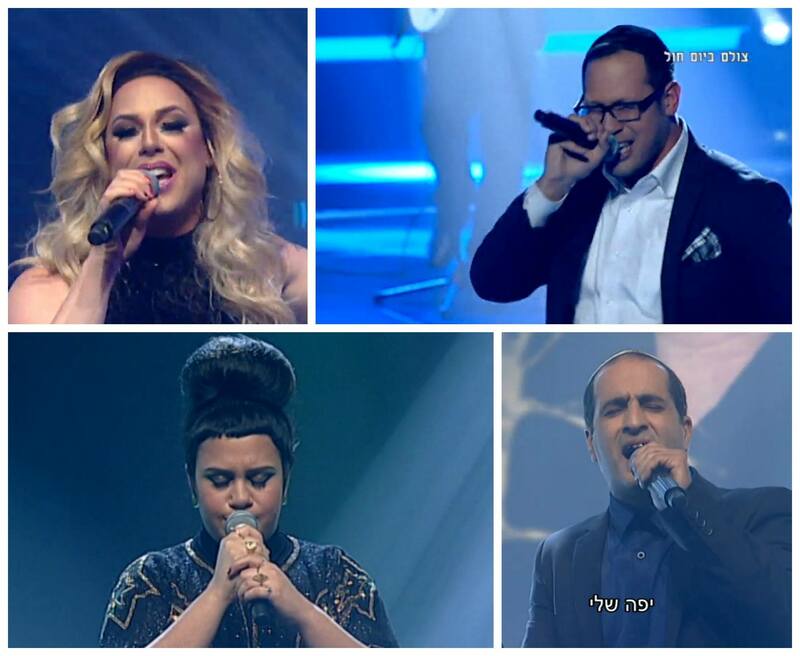 The same jury from the previous season has continued: Assaf Etedgi, Keren Peles, Mookie and Harel Skaat (Eurovision 2010). Auditions for the potential candidates took part in all major towns of Israel as well as online from May to August 2015. The broadcast of the new season has started on 5 December and is expected to be made of 15 episodes, hosted by Assi Azar and Rotem Sela. Keshet can be watched via the online subscription here. In the early selection rounds the artist stands in front of a giant LED wall which in the real-time displays the user pictures of those who have voted for him via special application. The artist sees nothing but this interactive wall. Behind the wall are sitting jury members and the audience - and they see only the projection of the artist. If the singer manages to win the sympathy of the audience, the scale of loyalty, which is displayed on the TV screen, increases, the wall rises and the artist proceeds to the next round. In order to raise the wall, the artist need to win more than 70% of the vote. 10% of sympathy votes can be given by each member of the jury: Assaf Etedgi, Keren Peles, Mookie and Harel Skaat (Eurovision 2010) (jury has not changed since the last year). In the next stage, each of the participants will go into a "rehearsal room", while the jury is watching and listening to the rehearsal and deciding if a specific act deserves to go through to the next stage or not. In order to qualify to the next stage, an act must get at least three votes (out of four) from the jury. The stage has been broadcasted only as two three hour long day time specials and not included in the regular evening programming which moved from auditions straight to the duels stage. 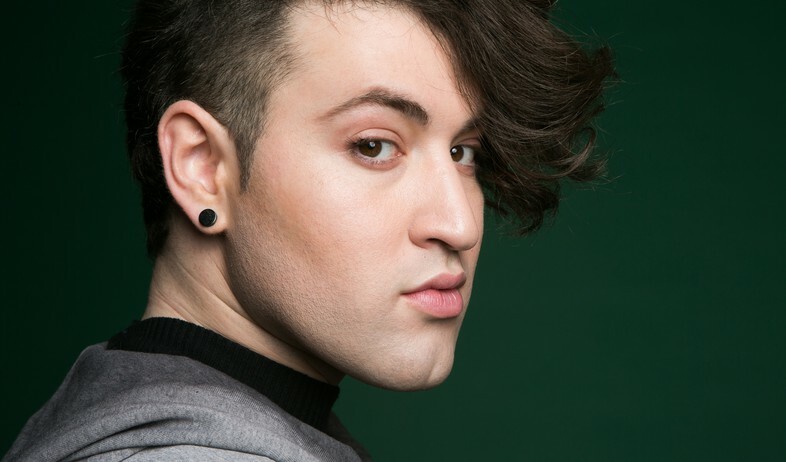 Preselection final was set on Thursday, March 3, and this year it has featured potential Eurovision entries performed by the four finalists. Final entries were chosen from more than 100 submissions by around 80 different songwriters. They were presented on 1 March in "Baavir" program of radio Reshet Gimel at 11:05 CET. Listen to the songs here. In the first round of the final show, aired live from the G.G. 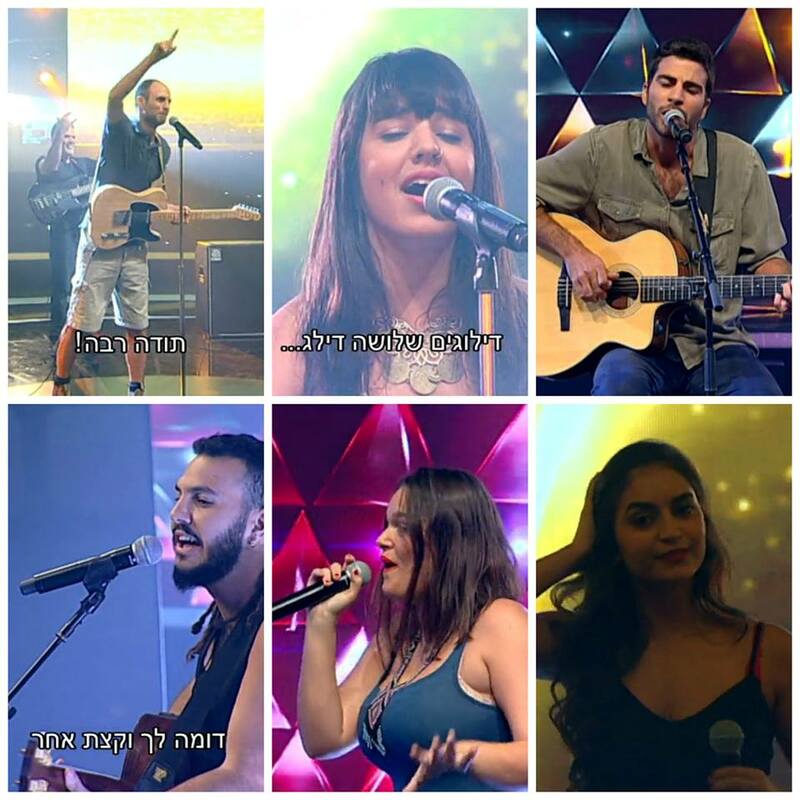 Studios in Neve Ilan, Jerusalem, four performers competed in duels with a cover song of their choice. The outcome of duels was decided by the public vote (organized through mobile application), while jury can add extra 3% to the score. 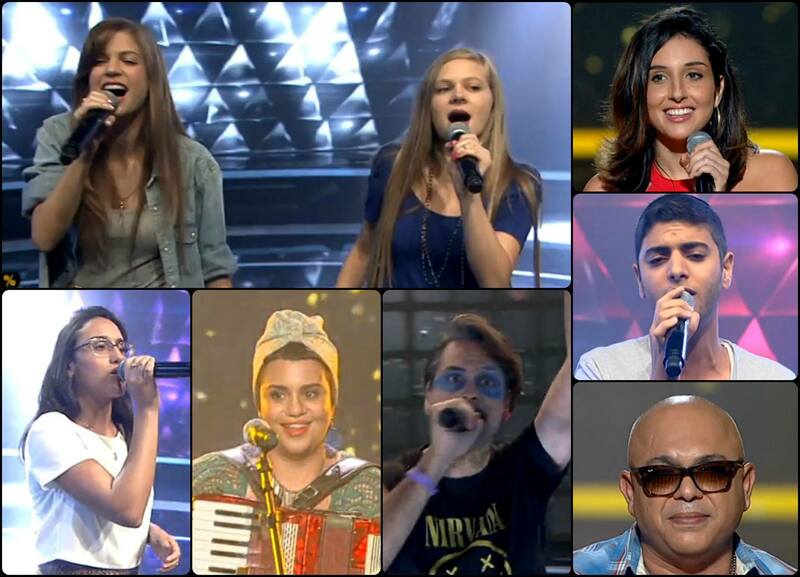 Jury also selected wildcard from two loosing performers to join the superfinal stage. In the second round, three remaining singers presented their potential Eurovision entries and the winner was chosen with the same voting system. Хови Стар (настоящее имя Ховев Секулец) родился 19го ноября 1986 года в Кирьят Ата, на севере от Хайфы. Хови с детского возраста привык отличаться от других. Соседи никогда не понимали смысл его подкрашенных глаз, и всегда удивлялись, что такое он там постоянно есть палочками (ведь его любимое блюдо - суши). "Я никогда не был нормальным, во всеобщем понимании. Я учился в религиозной школе, и дети били меня, обзывали, бросали в меня вещи. Это все было в довольно ужасающих пропорциях, которые вам не понять. Я никогда не вписывался в ландшафт, но и никогда не пытался подстроиться под него", объясняет Хови. Когда ему было шесть лет, его мать вышла замуж за баскетболиста Джона МакИнтайра. Каждый год он заключал договор с новой командой и семье приходилось переезжать. К двадцати девяти годам Хови пожил уже в 29 квартирах: в Хайфе, Холоне, Тель-Авиве... Каждый раз ему приходилось адаптироваться под новое окружение, и он говорит, что чувствовал себя хамелеоном, лишь меняя раскраску, но не теряя собственные черты личности. Музыка играла большую роль в жизни Хови с детства. Он начал принимать участие в музыкальных кастингах с шести лет. Из-за музыки он даже решил бросить школу, что, как он признает сейчас, было плохой идеей. Он планировал записать альбом, но ему это не удалось, и, в конце концов, он был вынужден вернуться к учебе. После окончания школы, Хови присоединился к музыкальной группе Вооруженных сил, и выступая с ней, впервые заметил, что помимо того, что он часто видит по телевидению, есть и рядом многие люди, которые его понимают. Хови продолжил выступать с группой Mozaica - коллективом молодых людей, сформированным в богатых традициях музыкальных групп Израильских Вооруженных сил. Он также гастролировал по Израилю с собственным проектом шоу Playing Dangerous, был ведущим шоу Star Live и принимал участие в других программах, помимо того, часто выступая в мюзиклах и телевизионных постановках. Хови уже пробовал себя во втором сезоне шоу Kokhav Nolad, когда ему было 17 лет, но не прошел дальше. Его педагог по вокалу, однако, продолжал настаивать на том, что формат шоу идеально подходил для него, и потому пять лет спустя он решает вновь вернуться на него и попадает в Kokhav Nolad 7, которое выходит в эфир летом 2009 года (среди таких участников, как Мей Файнгольд или Влади Блайберг). В шоу он достиг седьмой недели конкурса. В 2010 году певец выпустил свой дебютный сингл "Boyfriend" и видеоклип на него, а после этого на год перебрался в США, для того, чтобы сконцентрироваться на международной карьере. После своего возвращения, в 2012 году, Хови выпустил новый сингл - "Why Should I Leave". Его недавним релизом, вышедшим в конце 2014 года, является дуэт с Алоном Шарром - "Something That I Want". Хови также пишет песни для других исполнителей и принимал участие в дублировании фильмов и мультфильмов Диснея и Pixar, включая Frozen, Lego, Cinderella, Inside Out и многих других. Сейчас Стар, который является композитором и автором текстов, работает над своим дебютным альбомом. "Самым интересным для меня в жизни является взять ручку и бумагу, сесть за фортепиано и написать песню, потом записать ее в студии и поделиться со слушателями. Не знаю, в курсе ли большинство, что я сам пишу музыку и тексты. Моя музыка основана на стиле R&B, но я пытаюсь сформировать совершенно собственный уникальный стиль". В конце 2015 - начале 2016 Хови принимает участие, и 3го марта 2016 становится победителем еще одного шоу талантов - The Next Star. В качестве приза он получает путевку на конкурс Евровидение. "Если бы Евровидение не стояло на кону, я бы никогда вновь не стал принимать участие в шоу талантов, мне не нужны никакие другие призы, даже машина. Но Евровидение - это единственный способ пробиться из Израиля в Европу. Моей мечтой с самого детства было выступить на этой сцене. Когда мне было шесть лет, я представлял себя конкурсантом Евровидения, забирался на стол, и пел песни конкурса для моей мамы. Когда я, наконец, был выбран представителем Израиля, я не мог перестать рыдать от радости целый день. Я думаю, что это огромный шаг вперед для начинающего артиста, как я, и я получил шанс представить свою страну, в которой я вырос, и котору. я обожаю. Я не мог и ожидать чего-то большего". Для Хови переехать в Швецию - мечта: "Я бы очень хотел перебраться в Швецию, там холодно и мрачно. Я бы выходил на улицу в дождь, одевал наушники, и ходил бы под зонтом по ветру, меня очень привлекает эта картина"
"Песня была аранжирована 4 раза, пока мы не достигли финальной версии. Для меня и моей команды было очень важным добиться того, чтобы люди смогли сопереживать песне, потому мы меняли ее, снова и снова, пока мы не достигли, на наш взгляд, идеального результата. Когда я впервые услышал эту песню, мне показалось, что было бы очень странным для меня петь песню Made Of Stars, потому что в таком случае в одном предложении слишком много "звезд"! Теперь я понимаю, что название идеально подходит мне, и ни за что бы не согласился заменить его. Я умираю от желания скорее туда попасть, зажечь Европу и принести главный приз в Израиль. Но наша первая задача вернуться домой с высоко поднятыми головами"
"Made of Stars" была написана Дороном Медали, аранжировку и продакшн финальной версии песни сделал Хен Метцгер Эдер. Видеоклип на песню сняли Элад Вейсман и Йоав Сфейр в четырех различных местах Тель-Авива. Дорон Медали говорит: "Песня Made of Stars - это эмоциональная баллада, рассказывающая о нашей жизни как человечества в целом. Мы все соединены в виртуальном мире, но разобщены в реальности. Различия между людьми все более усиливаются, и реальность заставляет нас дать ответ на вопрос - хотим ли мы соединиться в реальной жизни и помогать друг другу, или останемся отрезанными друг от друга и безразличными? Песня Made of Stars напоминает нам, что все мы - люди, и все мы одинаковы. Мы все сделаны из звезд, и у каждого из нас есть свое место в этом мире". Хови Стар сделал заявление об инциденте в Москве в рамках мальтийской программы Xarabank. Об инциденте ранее рассказала представительница Испании Барей. "Что случилось по дороге в Москву? Люди, подобные мне сталкиваются со сложностями в Москве. Возможно, потому что я - гей. Возможно, потому что я одеваюсь так, может быть потому что я делаю макияж. Когда я приехал в Москву, у меня были проблемы на паспортном контроле. Они сказали мне, что я не могу въехать в страну. Они смотрели на мой паспорт, они разорвали мой паспорт, они смеялись мне в лицо, двое сотрудников работающих там. Примечательно, что это произошло в рамках Евровидения, ведь моя песня Made of Stars говорит о равенстве, о том, что мы все одинаковы, все были рождены и все умрут одинаковыми. Я всегда говорю о том, что надо делиться любовью, это бесплатно, не должно быть места ненависти, негативности. Я воспринимаю произошедшее как урок, я не воспринимаю это персонально, мне нравится и Сергей Лазарев и его песня, мне нравится Россия, я бывал в ней несколько раз. Это был своего рода опыт - мы живем, мы учимся, мы продолжаем наш путь, мы улыбаемся и мы делимся любовью"
- Помимо того, что вы победили на национальном отборе Израиля, международная аудитория очень мало знает о вас? Что мы должны были бы знать о Хови Стар? - Я люблю носить невероятные одежды, накладывать много грима, и в некоторые дни у меня неистовые прически. Но, я думаю, что при всем этом, я просто обычный парень. Я люблю проводить время со своей семьей, своей собакой, своим друзьями и создавая красивую музыку. Это важно для меня, чтобы люди знали, что я сам пишу песни. - Каков посыл "Made Of Stars", вашей конкурсной песни? - "Made Of Stars" рассказывает о равенстве. Она - о том, что независимо от того, откуда мы, независимо от того, каков цвет нашей кожи, независимо от того, какова наша религия или сексуальная ориентация, мы все равны. Если вы посмотрите на звезды, то вы поймете, что не можете отличить одну звезду от другой, потому что издалека все они выглядят одинаково. Эта песня является своеобразной мантрой, которую, я надеюсь, в один прекрасный день все будут петь вместе. - Каковы ваши ожидания от Стокгольма, вы волнуетесь? - Я в полном восторге!!! Выступление на сцене Евровидения всегда было моею мечтой, так что я безумно рад возможности выступить там перед этой огромной аудиторией, и спеть от всего сердца. Кроме того, я уже бывал в Стокгольме раньше! Это прекрасное место, и люди там очень дружелюбны. Я с нетерпением жду, чтобы возвращения в этого город. - Перед национальным финалом, вся группа финалистов отправилась в Швецию, и потом вы рассказывали, что вам очень понравилось настроение этой страны. Можете ли вы рассказать нам больше об этом? - Прежде всего, последний раз, когда я был там - там шел снег! Все, кто знает меня, знает, что я определенно люблю зиму и, безусловно, люблю снег, так что это меня определенно обрадовало. Люди в Швеции невероятно вежливы, а улицы невероятно чисты. Мне очень понравилось бывать там. - Как вы готовитесь к выступлению на Евровидении? - Оказалось, что перед Евровидением нужно сделать еще много работы. Это не похоже на простое обычное выступление. Всё (и я действительно имею в виду всё!!!) должно быть спланировано до мельчайших деталей, как и то, что я буду носить на сцене, углы света и камер, и даже моменты, когда я должен смотреть в камеры и вне них. Но в основном всё это технические аспекты. Так что я стараюсь сконцентрироваться на своем голосе и своих навыках, поскольку именно ими я умею управлять лучше всего. - Каковы ваши первые воспоминания о Евровидении? - Я не помню, что является моим самым первым воспоминанием о Евровидении. Это все немного размыто, но я помню, что смотрел конкурс со своей мамой, когда мне было около трех или четырех лет. Я был поражен, когда я увидел сцену, свет и количество талантов на этой сцене. - Было ли это вашей мечтой, представлять Израиль на Евровидении? - Конечно!! Я мечтал стоять на сцене Евровидения, когда мне было еще лет шесть. Я помню, как стоял на столе, и пел песни для своей семьи. Я чувствую себя очень взволнованным, и для меня большая честь представлять свою страну на таком огромном мероприятии. Это очень многое значит для меня. - Каковы ваши любимые песни Евровидения, а также любимые песни из числа представителей вашей страны? - Это нечестный вопрос! Есть невероятное количество песен Евровидения, которые мне нравятся, а вы хотите, чтобы я назвал только несколько из них. Мне очень нравится "Euphoria"! Я думаю, что это было весьма искреннее выступление, и у Лорен мощный и интересный голос. Мне также нравится прошлогодний победитель! Безупречное исполнение, очень хорошая песня и певец очень страстный и талантливый! Швеция действительно заслужила эту победу! Моя любимая из песен Израиля, конечно же, "Дива" Даны Интернэшнл. Это - настоящий шедевр, Дана очень талантлива. Я был еще ребенком, когда Дана победила на Евровидении, но я помню, что был так горд ею и своей страной в тот день. К тому же, я уже много раз встречался с Даной. Она - удивительный человек с огромным сердцем. Истинная дива. - Вы слушали другие песни из конкурса этого года? Понравилось ли вам что-то? - Конечно же, я слушал другие песни, И, конечно же, у меня есть любимые!!! Мне действительно очень очень очень нравится песня Финляндии "Sing It Away". Сандья - очень талантливая исполнительница. Она выглядит, как очень интересный человек, и я хотел бы с ней познакомиться. Когда я смотрю ее клип, мне хочется танцевать с ней и стать ее другом. Она очень крутая! Еще один мой фаворит - представитель Франции Амир. Амир - прекрасный певец, и его песня очень запоминающаяся. - Вы недавно сняли видеоклип на песню Made of Stars в Тель-Авиве, что вы можете рассказать нам о нем? - Это был очень забавный опыт! Мы снимали видео в ночное время, поэтому мы должны были сделать все быстро, прежде чем выглянуло солнце. Забавно то, что Тель-Авив - один из тех городов, которые никогда не спят, мы начали снимать в шесть часов вечера, и на улице быи люди, но люди оставались на улице уже когда было 5 часов утра. Они, вероятно, возвращались с безумных ночей вечеринок. Я знаю, потому что за неделю до этого я сам был одним из таких людей. - Какой месседж вы бы хотели передать читателям этого интервью? - Никогда не сомневайтесь в себе и заставляйте ваши мечты сбываться! Made of Stars остается песней Израиля для конкурса Евровидение 2016 - по сообщениям корреспондентов Ynet и Israel Hayom такое решение было принято после рассмотрения всех возможных вариантов замены на специальной встрече между представителями Tedy Productions, Израильской Вещательной корпорации и менеджмента исполнителя. Прежде всего, было решено сохранить песню потому, что именно она собрала наибольшее количество голосов от телезрителей проекта The Next Star. Тем не менее, песня будет в значительной мере переработана с учетом пожеланий исполнителя. Напомним, что по имеющейся информации, Хови Стар первоначально планировал исполнить в финале шоу композицию собственного авторства, тогда как Made of Stars предназначалась для его соперницы Нуфар Салман. Однако, организаторы проекта настояли на том, что он должен выбрать песню из предложенных профессиональными авторами. По сообщениям израильского издания Israel Hayom вполне возможно Хови Стар сменит заявку "Made Of Stars", с которой выиграл национальный отбор, на "Somebody Out There", с которой выступала Элла Дэниэл. "Made Of Stars" была воспринята местной и международной аудиторией довольно противоречиво, поэтому на экстренном совещании с участием представителей Tedy Productions и самого исполнителя было принято решение записать "Somebody Out There", которая была отмечена гораздо позитивнее, и определиться с решением ближе ко встрече глав делегаций. В настоящее время национальный вещатель прорабатывает юридические аспекты возможности подобной замены. Израиль выступит во втором полуфинале конкурса Евровидение 2016 12го мая для того, чтобы избежать наложения выступления на Евровидении на израильский День памяти павших в войнах Израиля и жертв террора, который будет в этом году отмечаться 10 мая. Просьба израильского национального вещателя IBA была удовлетворена Европейским Вещательным Союзом. В марте 2016 года израильскому вещателю также предстоит пройти через процесс реструктуризации, он будет закрыт и открыт в качестве новой компании Израильская Вещательная Копорация IBC. Пока неизвестно, как данная реорганизация может повлиять на участие страны в Евровидении. Второй год подряд, представитель Израиля на Евровидении был выбран посредством шоу "The Next Star", в этом году переименованного "The Next Star for Eurovision" (הכוכב הבא לאירוויזיון, Hakochav Haba L'Eirovizion), формата всемирно известного как "Rising Star", а в России выходившего как шоу "Артист", продюсируемого компанией Teddy Productions, и выходящего в эфир 2го канала Израиля Keshet. Прослушивания потенциальных участников прошли во всех крупнейших городах Израиля, а также по интернету, с мая по август 2015 года. Новый сезон стартовал в эфире 5го декабря, и, как ожидается, он будет включать в себя 15 выпусков, ведущими которых станут Аси Азар и Ротем Села. Канал Keshet можно смотреть онлайн по подписке здесь. В стартовых раундах артист выступает перед огромной стеной, на которой в режиме реального времени выводятся лица тех, кто за него голосует с помощью специальных приложений. Артист не видит ничего, кроме этой интерактивной стены. За стеной сидят члены жюри и публика - они видят лишь проекцию артиста. Если вокалисту удается завоевать симпатию зрителей, то шкала лояльности, которая отображается на экране телевизора, растет, стена поднимается и артист проходит в следующий круг. Для того чтобы поднять стену, артисту надо набрать более 70% голосов. По 10% симпатии участнику может отдать каждый из членов жюри: Ассаф Этеджи, Керен Пелес, Mookie и Арель Скаат (Евровидение 2010) (состав жюри по сравнению с прошлым годом не изменился). Во второй стадии отбора за участниками в комнате для репетиций следила скрытая камера, а их репетиции оценивало жюри отбора, определявшее, достоин ли кандидат пройти в следующий раунд отбора. Для прохода ему было необходимо набрать по меньшей мере три "да" от 4х членов жюри. Этот этап отбора был показан только в виде двух трехчасовых дневных спецвыпусков и не вошел в обычные вечерние программы, которые перешли сразу от прослушиваний к дуэлям. Финал отбора был назначен на четверг, 3 марта и в этом году в нем прозвучали потенциальные песни Евровидения в исполнении четырех финалистов. Песни-финалисты были выбраны из более 100 заявок присланных 80 различными авторами. Их первая презентация прошла 1го марта в программе "Baavir" на радио Reshet Gimel в 13:05 Москвы. Слушайте песни здесь. В первом раунде финального шоу, которое вышло в прямом эфире из G.G. Studios в Неве Илане, Иерусалим, четыре исполнителя сразились в дуэлях, исполняя кавер-песню по своему выбору. Результат дуэлей был определен голосованием телезрителей (через мобильное приложение), в то время, как жюри могло добавить к их результату дополнительные 3%. Жюри также выбрало вайлдкард из числа двух проигравших участников, который присоединился к суперфиналистам. Во втором раунде, три оставшихся исполнителя спели свои потенциальные песни Евровидения, и победитель был выбран по той же системе голосования.